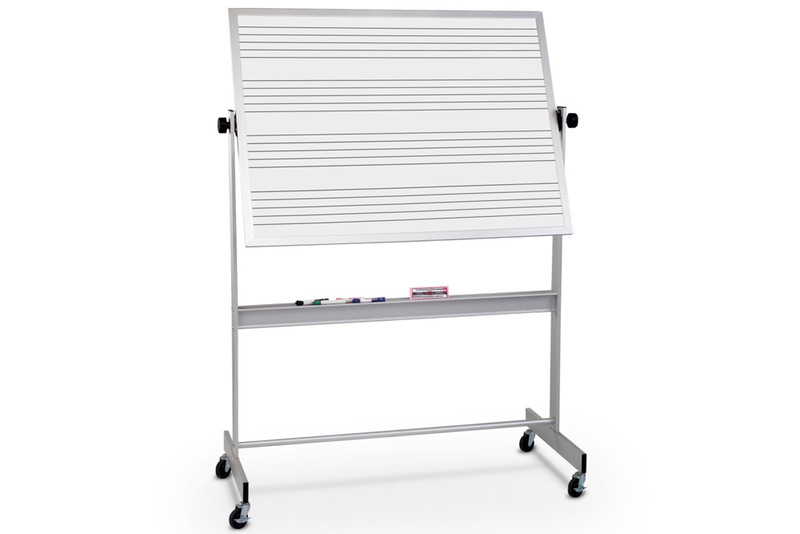 Portable music staff dry erase boards. 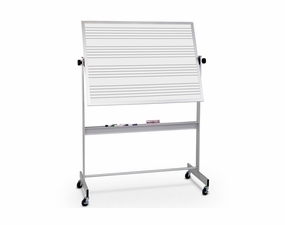 Our reversible, free standing dry erase boards come with music staff printed either on just one side or if you want, both sides. 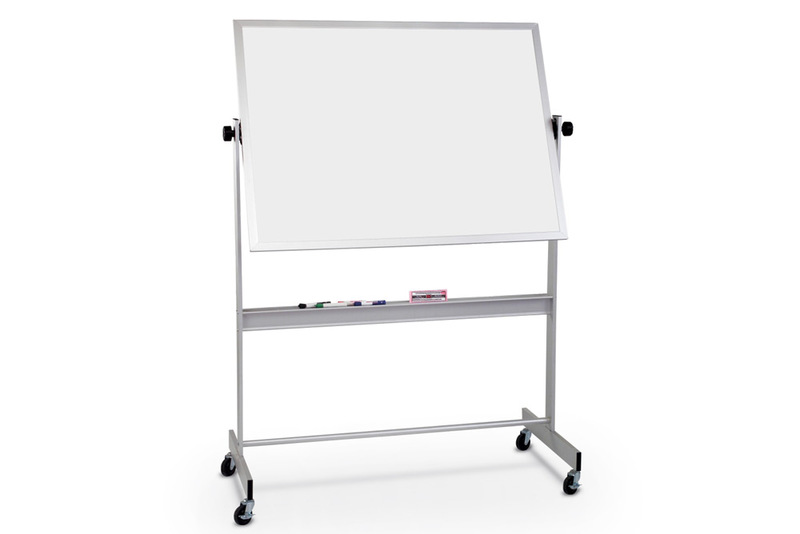 Made with a magnetic receptive porcelain steel dry erase surface with music staff lines fused permanently adhered to the board. You have a smooth, clean and ghost resistant writing surface that comes clean even if someone accidentally uses permanent marker. 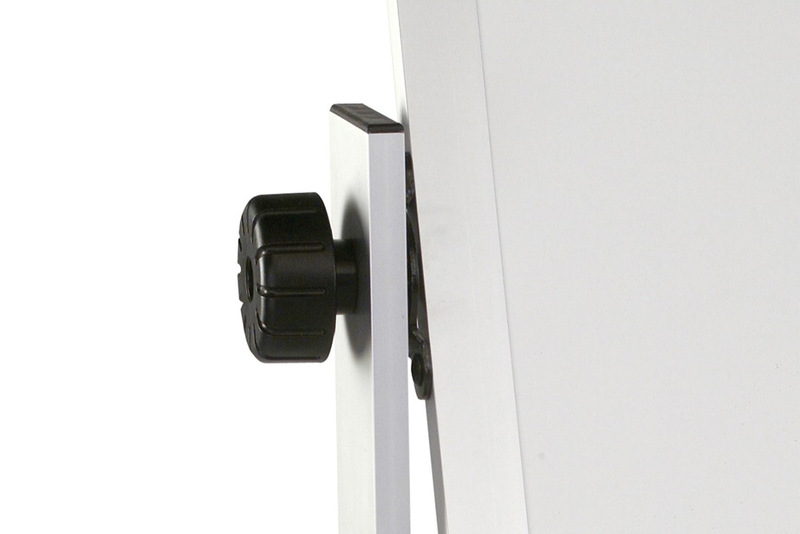 Made with satin brushed aluminum frames that will stand up to any classroom. 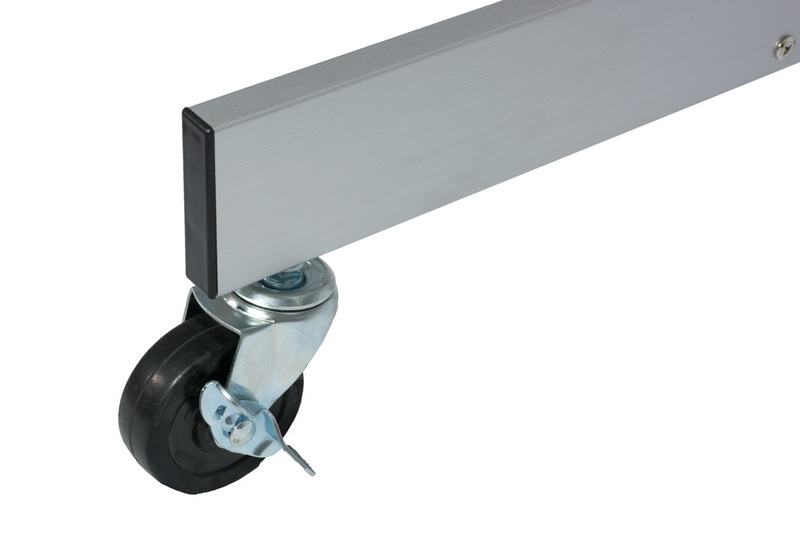 Each unit has four casters. Two are free-wheeling and two locking. School purchase orders gladly accepted so order today. These beautiful units ship by truck and they must be opened and inspected upon arrival so please make sure to include your email address when placing a purchase order. We will contact you as soon as your unit leaves our factory so you'll know when to expect it. If you want to modify the design or add a school logo there is a one-time set up fee for each different design. We keep your artwork on file for a period of one year. BR-RAMS-46C-1 Staff On 1 Side Only 116 Lbs. BR-RAMS-46C-2 Staff On 2 Sides 116 Lbs. *Either size ships by Truck. 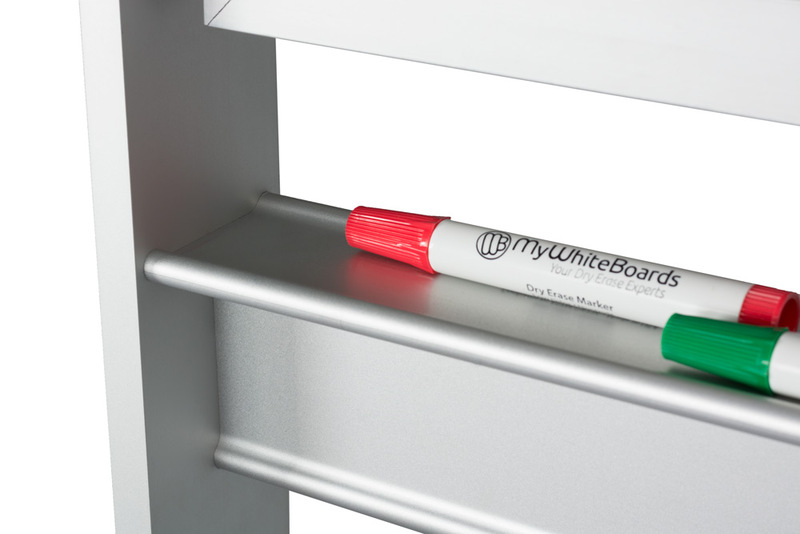 50 Year Life-time warranty on the writing surfaces. RAMS-46C-1 Music staff lines on one side of the unit and a plain white writing surface on the reverse. RAMS-46C-2 Model has music staff lines on both sides of the unit. Estimated assembly time: 10-15 minutes with two persons. *4' x 8' Special order non-reversible units are available through customer service.